Nothing more than a dot on the map, Emmaville, MN, Population 4, is a classic little tourist stop that consists of a gas station, cafe, gift shop and motel-and-campground all in one. It’s a place known to the locals and tourists who frequent the area, but remains a hidden gem to most others. Part of the fun of this place are the quirky signs out front and around the building. 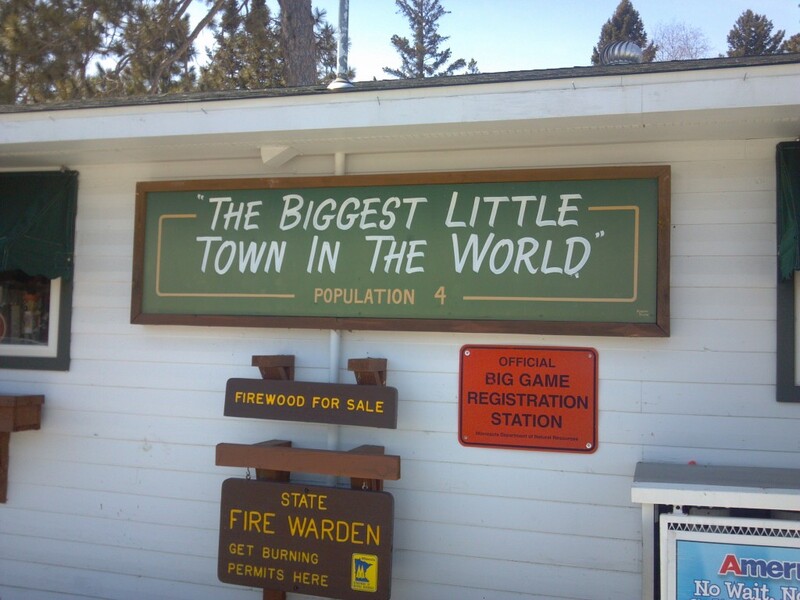 Billed as the “Biggest Little Town in the World,” Emmaville is located northeast of Park Rapids, MN about 15 minutes. The community’s origins go back over 100 years or so, back to the logging camp days of northern Minnesota. There has been a country store there since 1905, with a newer one being built around 1940. But it really took off in the 1970’s when they decided to make a tourist attraction out of it. And since there were only 4 people living in the “town” at this time, they took advantage of the small number and plastered it right on the building. Then-owner Cal Jensen is credited with this idea. The cafe and bar area were added in the 80’s. I remember going through Emmaville on my way to Camp Wilderness (the aforementioned nearby Boy Scout camp) back as a youngster and always got a kick out of it. Unfortunately, I hadn’t been back since. Recently, a random day trip through the area led us and I there and it was just as awesome as I remembered it. I’d stop again in a heartbeat. 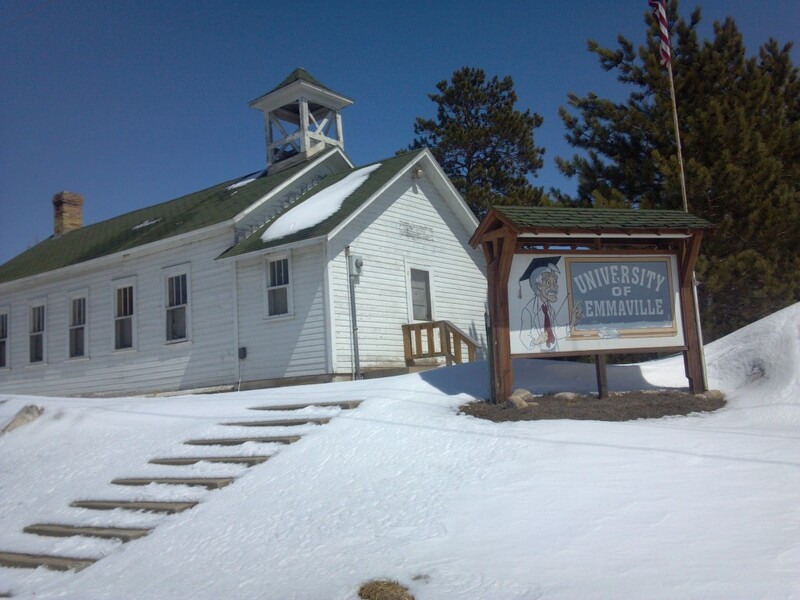 Emmaville has changed hands a few times and was actually closed for a bit recently around 2009. But new owners came in and fixed it up and re-opened it, and we’re sure glad they did. 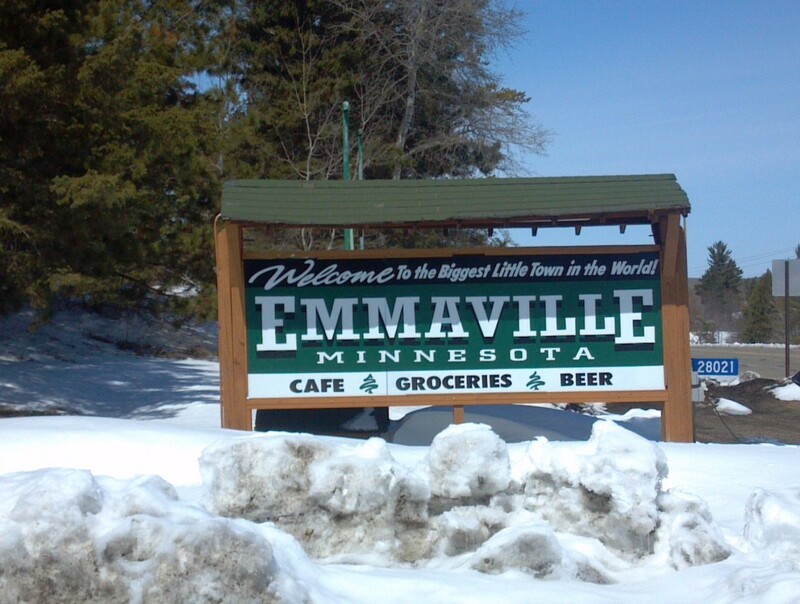 While in the area: Emmaville is just north of Dorset, MN, which prides itself as the Restaurant Capital of the World. 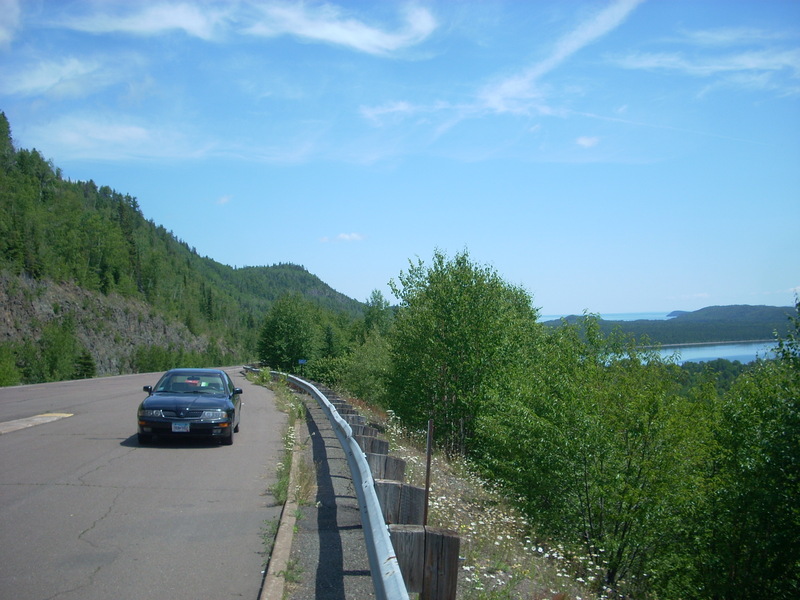 Itasca State Park is just down the road and the Heartland BikeTrail is also nearby. 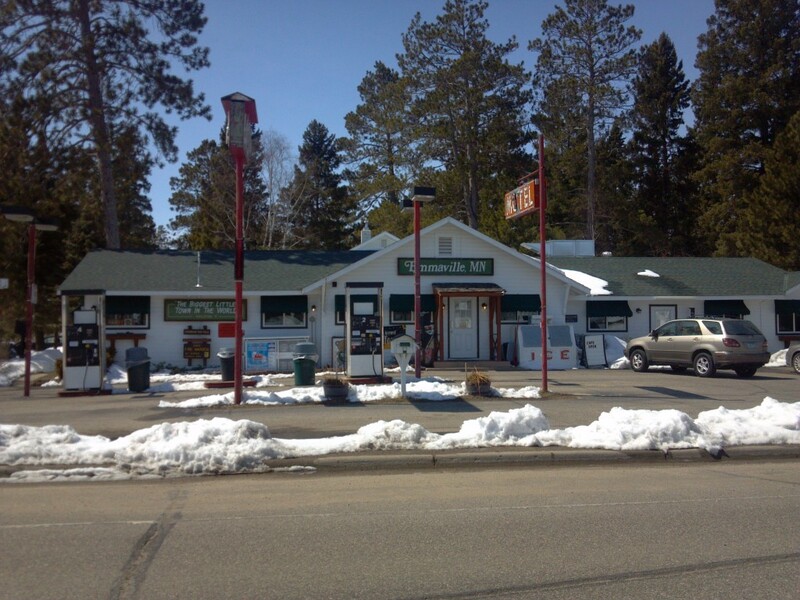 This entry was posted in Highway Highlights and tagged Country Store, Emmaville, MN by Seth5544. Bookmark the permalink. Thanks for the memories. 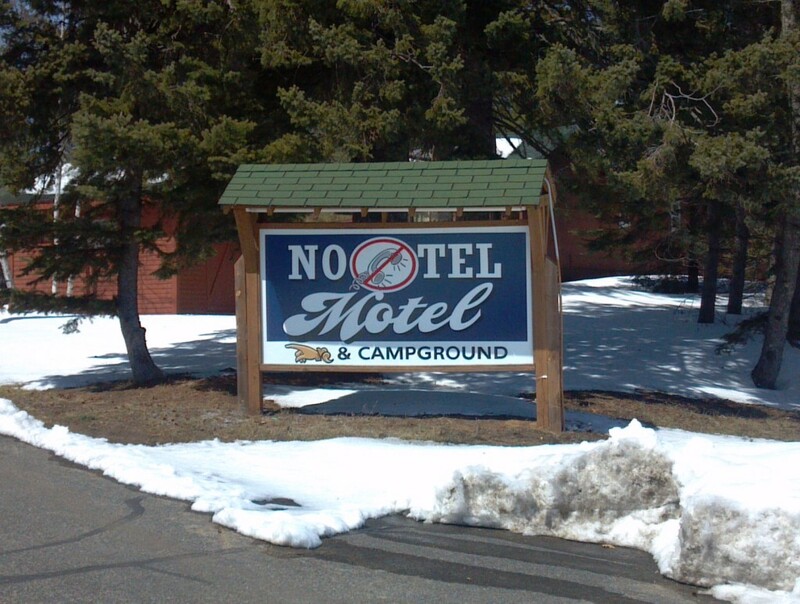 I had totally forgotten about stopping here on the way to Camp Wilderness back in the 80’s. Love the area and now I’ll have to trek back. Hi, can we bike here from Dorcet? What road and what condition is it in? Thank you.